Sometimes a new innovation creates a revolution, shaping the entire product line’s future. 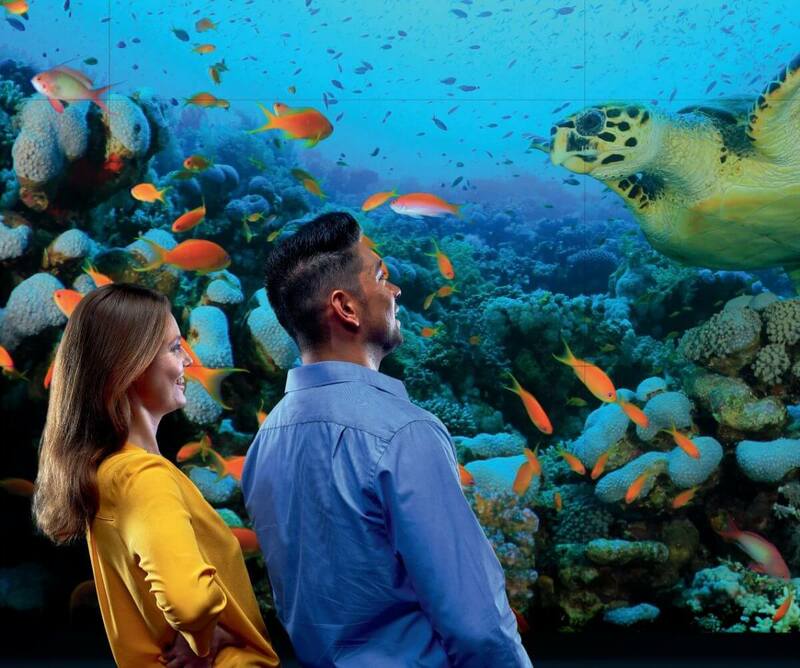 With the Barco UniSee platform, Barco completely redesigned and optimized every component of the LCD video wall, resulting in a new way to look at large screen visualisation. The UniSee platform consists of UniSee View, UniSee Mount and UniSee Connect. These three elements come together to define the future of LCD video walls. The UniSee Mount is sheer mechanical innovation that uses gravity to keep the panels perfectly in place, ensuring perfect alignment over time – without damaging the panels' edges. 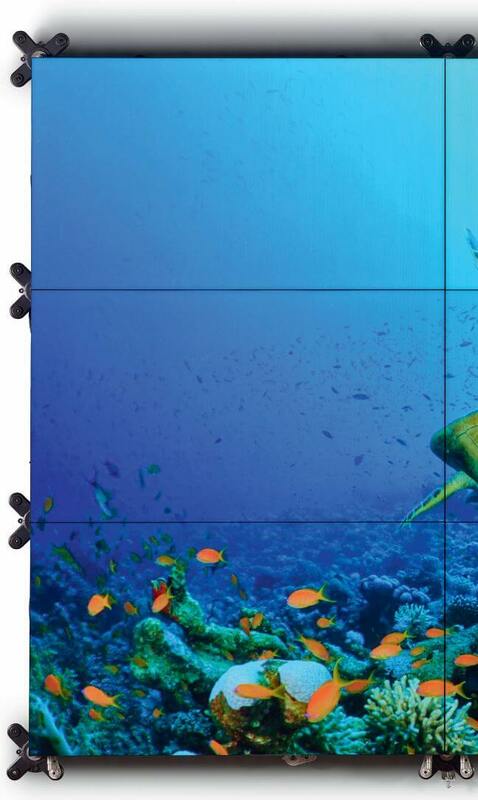 When designing the modular Barco UniSee® system, we optimized all aspects of LCD video walls. 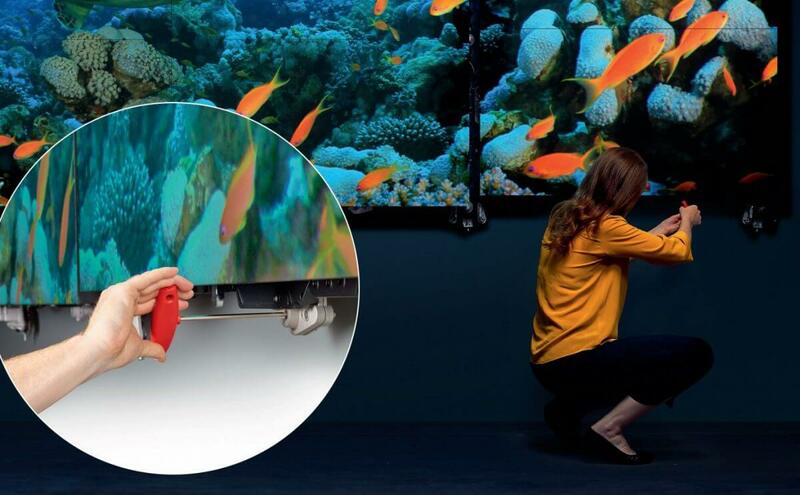 By introducing an extremely reliable image, unmatched uniformity, a barely noticeable intertile gap and higher reliability, Barco UniSee® creates a viewing experience never seen before in LCD video walls - making Barco UniSee® the preferred choice in control room, corporate, or retail environments. NoGap technology - for an undistracted visual experience. The rather large gap (bezel) between tiles in conventional LCD video walls makes it difficult to distribute content over multiple tiles. Barco UniSee®’s virtually seamless NoGap technology ensures the best possible, uninterrupted viewing experience - preventing visual information loss. Sense X - ensuring a balanced viewing experience over time. Using real-time sensors that continuously measure colour and brightness - and make adjustments as soon as necessary - Barco’s Sense X automatic calibration system ensures that the entire wall displays a perfectly balanced image at every moment, reproducing the image as it is intended to be. Sense X counters any shifts in brightness or colour that occur in video walls over time, and that become far more noticeable as the bezel becomes thinner. A typical challenge with LCD panels is uniformity: normally, you can notice a variation in brightness between the centre and the edges, especially when displaying light colours. But with Barco UniSee®, Barco has completely re-engineered the design of the panels to counter all possible variations in brightness. The result is perfect intra-tile uniformity, never seen before on LCDs. Barco UniSee® delivers a typical brightness of 800 NIT, giving you the power needed to optimize the video wall’s ergonomics to any lighting conditions - including ambient daylight. What’s more, ambient lighting reflections are minimized by the haze level of only 44% making Barco UniSee® ideally suited to visualize your corporate messages in lobbies as well. Barco UniSee®’s very high contrast ensures that there is no ‘glowing’ effect of light content on static dark backgrounds. When using seamless video walls, it becomes even more important to perfectly align all tiles in order not to distract from the viewing experience. Therefore the mounting structure is a key element of the video wall system, as it ensures the precise alignment of the panels without damaging the sensitive edges. That’s why Barco has completely redesigned the mounting structure, adapting it to the new generation of bezel-less video walls. The result is the UniSee Mount - a sheer mechanical innovation that uses the power of gravity to keep the panels perfectly in place, allowing you to distribute uninterrupted content across multiple screens. Aligning the displays of an LCD video wall can be a tedious job. The UniSee Mount makes this task a lot easier. Using the power of gravity, the screens slide into perfect position automatically, in any direction along the X, Y and Z axes. Perfect alignment has now become a pure science - not laborious craft. The UniSee Mount was designed to make installation easy and fast. There are fewer connection points, and the cabling can be positioned neatly inside the guides. Installs now require much less effort, resulting in faster commissioning. The problem with traditional wall mounts is that they are extremely rigid. This means that there is no flexibility during installation. So you install the screens either with bigger interscreen gaps or - when you try to align them perfectly together - you risk damaging the panel edges. UniSee Mount’s self-alignment mechanism makes sure the panels align gently, creating the best possible viewing experience, risk-free. Another revolutionary aspect of the UniSee Mount is that it facilitates servicing. Using a simple wrench to move the adjacent screens, all individual panels are easily accessible from the front - even the middle panels. Each panel can be taken out swiftly and securely, making and maintenance easier. Moreover, cabling and electronics can also be pre-tested before screen installation.